inverseTransform() Transforms local pixel coordinates to latitude/longitude values. transform() Returns coordinate at given latitude and longitude as pixel values relative to a map bounds. scale() Map geo scale settings. getCurrentScene() Returns the current chart after drilling down into the map. getDrilldownPath() Returns the drill down path. drillDownMap() Drills down a map. drillTo() Drills down to a map. drillUp() Drills one level up from the current level. fitAll() Fits all visible part to width of map. Maximum zoom out. getZoomLevel() Gets the map zoom level. move() Moves focus point for the map. zoomIn() Zoom the map in the center. zoomOut() Zoom the map out the center. zoomTo() Zooms the map to passed zoom level and coordinates. zoomToFeature() Zoom to feature by passed id. bubble() Creates a Bubble series. choropleth() Creates a Choropleth series. getSeries() Getter for the series by its id. marker() Creates a Marker series. featureCrs() Coordinate system for the feature. featureTranslation() Getter for the translation feature by id. getPlotBounds() Getter for the data bounds of the chart. translateFeature() Translates feature on passed dx and dy. addSeries() Add series to the chart. getSeriesAt() Getter for the series by its index. getSeriesCount() Returns a series count. maxBubbleSize() Maximum size for all bubbles on the charts. minBubbleSize() Minimum size for all bubbles on the charts. removeAllSeries() Removes all series from chart. removeSeries() Removes one of series from chart by its id. removeSeriesAt() Removes one of series from chart by its index. toGeoJSON() Exports a map to GeoJSON format. If you want to enable accessibility you need to turn it on using anychart.charts.Map#a11y method. anychart.charts.Map - Self instance for method chaining. Add series to the chart. var_args anychart.data.View | anychart.data.Set | Array Chart series data. Array.<anychart.core.map.series.Base> - Array of created series. anychart.core.axes.MapSettings - Common axes settings. boolean - disable or enable map axes. object - sets map axes settings. settings Object | boolean Map axes settings to set. data anychart.data.View | anychart.data.Set | Array | string Series data as SVG, SVGString, GeoJSON or MapNameString. anychart.core.map.series.Bubble - An instance of the created series. index number Index of existing callout element to get. anychart.core.ui.Callout - Callout instance by index. settings Object | boolean | null Callout settings to set. Setter for callout elements by index. 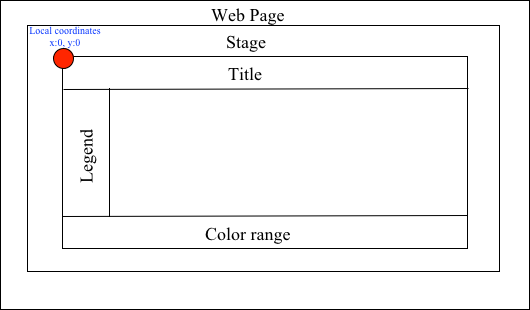 index number Index of existing callout element. anychart.core.map.series.Choropleth - An instance of the created series. Getter for the color range. Setter for the color range. settings Object Color range settings to set. Getter for map crosshair settings. Setter for map crosshair settings. null/boolean - disable or enable map crosshair. object - sets map crosshair settings. Getter for the the crs (coordinate system) to map. Object | function | anychart.enums.MapProjections | string - Projection name, or projection string representation, or projection Object or Function. Setter for the the crs (coordinate system) to map. crs method changes map projections. settings Object | function | anychart.enums.MapProjections | string Projection name, or projection string representation, or projection Object or Function. anychart.core.utils.Animation - Animations settings object. boolean - disable or enable animation. settings boolean | Object Animation settings. duration number A duration in milliseconds. Getter for the map default series type. anychart.enums.MapSeriesType | string - The map default series type. Setter for the map default series type. Setting the default type using this method affects only series created using addSeries() method after the default is set. All series created prior to that do not change the type. type anychart.enums.MapSeriesType | string Series type. Set the transitions to drill down. 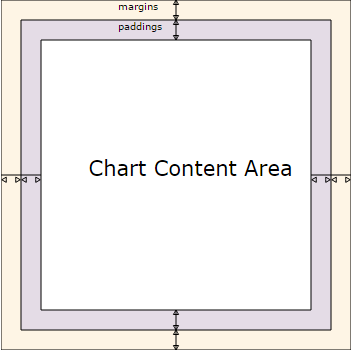 value Object.<string, (Object|anychart.charts.Map)> Value to set. Object - The object with id and map instance. Drills down to a map. Drills one level up from the current level. Rises up from the current level of drill down, if possible. Getter for the crs of the feature. Note: Works only after anychart.charts.Map#draw is called. This method uses the map data, which include latitude and longitude. string - The crs of the feature. Setter for the crs of the feature. crs string String crs (coordinate system) representation. Getter for the feature scale factor. number - The scale of the feature. Setter for the feature scale factor. Getter for the translation feature by id. Array.<number> - The translating feature. Setter for the translation feature. Use the map data, which include latitude and longitude. Method moves the feature from the current position to the passed x and y.
dx number Offset by X coordinate. dy number Offset by Y coordinate. Fits all visible part to width of map. Maximum zoom out. The fitAll() method should be used after drawing a chart. Getter for the geo data. Node | string | Object - The geo data. Setter for the geo data. data Node | string | Object Map data as SVG, SVGString, GeoJSON or MapNameString. string - Geo id field. Returns the current chart after drilling down into the map. Returns the drill down path. Returns path of drill down from the root map to the current level. Array.<anychart.core.MapPoint> - An array of objects with map points (anychart.core.MapPoint). Getter for the data bounds of the chart. 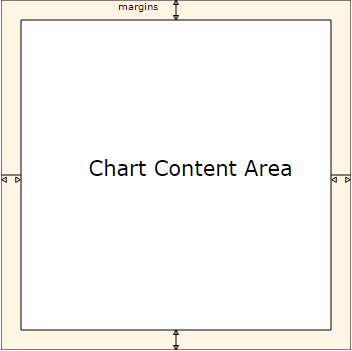 Note: Works only after anychart.charts.Map#draw is called. anychart.math.Rect - Data bounds of the chart. Array.<anychart.core.MapPoint> - An array of the selected points. Getter for the series by its id. anychart.core.map.series.Base - An instance of the created series. Getter for the series by its index. index number Index of the series. number - Number of series. Gets the map zoom level. Converts the global coordinates to local coordinates. Note: Works only after anychart.charts.Map#draw is called. boolean - disable or enable map grids. object - sets map grids settings. Chart grids settings to set. Getter for the map hatch fill palette settings. anychart.palettes.HatchFills - Chart hatch fill palette. Setter for the map hatch fill palette settings. settings Array.<anychart.graphics.vector.HatchFill.HatchFillType> | Object | anychart.palettes.HatchFills Hatch fill palette to set. Transforms local pixel coordinates to latitude/longitude values. Use anychart.charts.Map#globalToLocal to convert global coordinates to coordinates relative to a map. x number X pixel value to transform. y number Y pixel value to transform. Object.<string, number> - Object with latitude/longitude coordinates. settings Object | boolean | null Series data labels settings. Getter for the chart legend. Setter for the chart legend settings. null/boolean - disable or enable chart legend. object - sets chart legend settings. Converts the local coordinates to global coordinates. Note: Works only after anychart.charts.Map#draw is called. anychart.core.map.series.Marker - An instance of the created series. Getter for the map markers palette settings. anychart.palettes.Markers - Map markers palette. Setter for the map markers palette settings. settings anychart.palettes.Markers | Object | Array.<(anychart.enums.MarkerType|string)> Map marker palette settings to set. Getter for the maximum size for all bubbles on the charts. number | string - Maximum size. Setter for the maximum size for all bubbles on the charts. Getter for the maximum zoom level. number - Maximum zoom level. Setter for the maximum zoom level. value number Maximum zoom level. Getter for the minimum size for all bubbles on the charts. number | string - Minimum size. Setter for the minimum size for all bubbles on the charts. Moves focus point for the map. Global labels overlap settings for map series. Defines if labels are shown if they overlap with other labels. Series settings can override these settings. Getter for the map palette. anychart.palettes.RangeColors | anychart.palettes.DistinctColors - Color palette instance. Setter for the map palette. settings anychart.palettes.RangeColors | anychart.palettes.DistinctColors | Object | Array.<string> Color palette instance. Removes all series from chart. Removes one of series from chart by its id. id number | string Series id. Removes one of series from chart by its index. Getter for the map geo scale. anychart.scales.Geo - Map geo scale value. Setter for the map geo scale. Starts select marquee drawing. Note: Works only after anychart.charts.Map#draw is called. Exports a map to GeoJSON format. Object - Geo JSON config. Getter for the tooltip settings. null/boolean - disable or enable chart data tooltip. object - sets chart data tooltip settings. Returns coordinate at given latitude and longitude as pixel values relative to a map bounds. Note: Returns correct values only after anychart.charts.Map#draw is called. Use anychart.charts.Map#localToGlobal to convert returned coordinates to global coordinates. xLong number Longitude in degrees. yLat number Latitude in degrees. Object.<string, number> - Transformed value adjusted to map bounds. Translates feature on passed dx and dy. dx number Offset x coordinate. dy number Offset y coordinate. Getter for the settings for the unbound regions. anychart.core.utils.UnboundRegionsSettings | anychart.enums.MapUnboundRegionsMode | string - Settings for unbound regions. Setter for the settings for regions that are not linked to any series data. boolean - disable or enable regions. object - sets regions settings. string - hide regions ('hide') or set settings as is ('as-is'). Settings object or boolean value like enabled state. Minimum zoom is map bounds. Maximum zoom is autocalculated from the bounds of a map. Zoom the map in the center. duration number Duration of zoom animation. Zoom the map out the center. Zooms the map to passed zoom level and coordinates. value number Zoom level for zooming. cx number X coord of zoom point. cy number Y coord of zoom point. Zoom to feature by passed id.